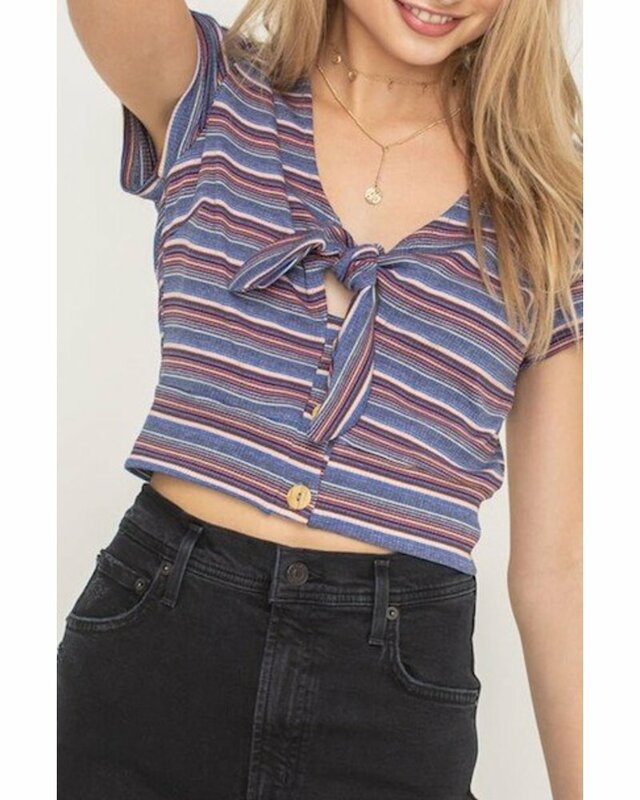 Elevate your wardrobe with this short sleeve cropped top with tie accent at the bust. 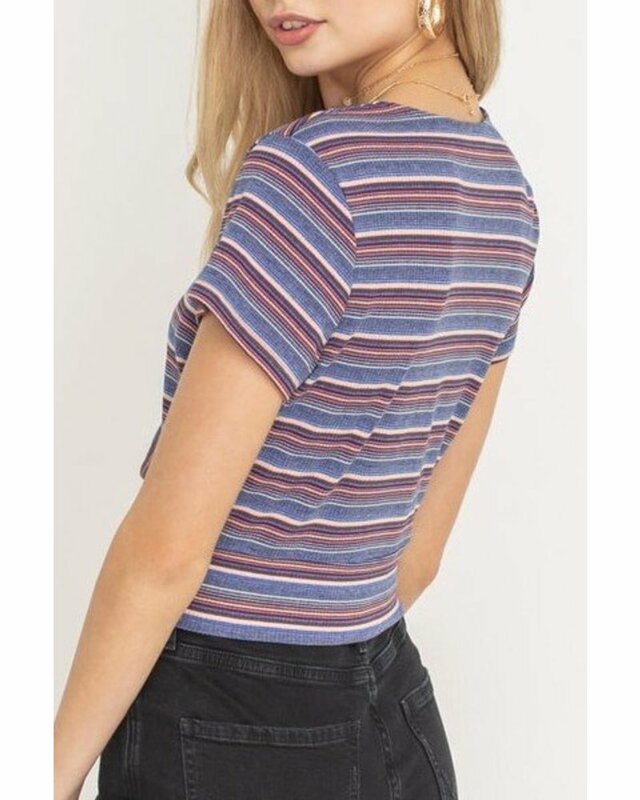 Made in a striped ribbed knit with a buttoned detail front. 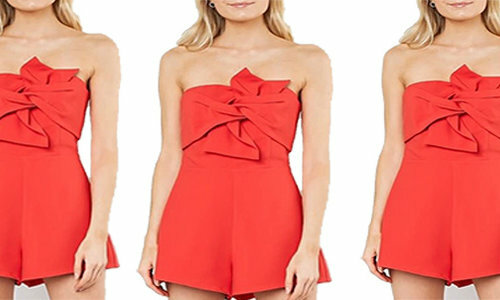 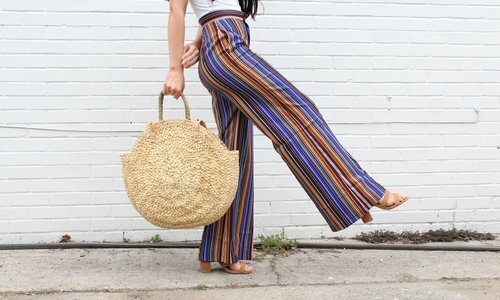 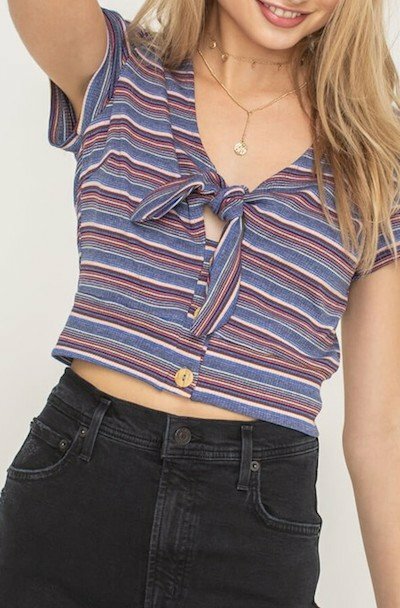 Perfect for high waists and cute vibes.